If you’ve been on social networking for some time, you’ll already be familiar with the concept of hashtag. Although we’ve all met the hashtags thanks to Twitter, it is now also used in other social networks like Facebook, Google+, Instagram or Pinterest. Today we will focus on hashtags on Pinterest. What many users are unaware of is that the operation of hashtags in Pinterest is somewhat different than in other networks. That’s why today we give you some tips on how to use hashtags in Pinterest. When we add a pin we can add an unlimited principle number of hashtags to its description. 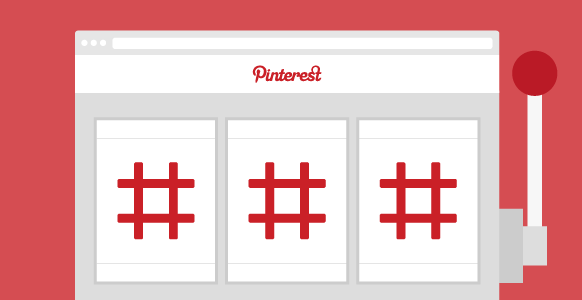 When we click on one of these hashtags, Pinterest will return some search results. What happens if we put a hashtag in our bio or in the name of a board? Absolutely nothing. We cannot click on a hashtag in our profile or in the title of a board, so that is not going to increase the possibilities of find you. We go with the important differences with respect to other social networks. On Twitter, Google+ and Facebook are accustomed to click in a hashtag to find other publications that also use it. Pinterest however, works differently. If we click on a hasthag, for example #socialmedia, we will find other pins that have used it, along with pins that simply carry ‘social media’ or ‘social-media’ in their description. That is, words similar to our hashtag but without the #. We can even find results that do not have the word ‘social media’ in the description. The more general a word is, the more likely it is that the results will show various pins and have little to do with what we are looking for. Another difference to take into account. You can do the test for yourself: enter a pin and click on a hashtag. Then visit the results and check on what date they were added. As you will see, the first results are not the latest. Pinterest has not revealed how it chooses its search results by hashtag. When you pin a image, Pinterest uses the information in the alt tag to create the description. When the alt tag is empty, it then takes the filename as a description. Therefore, do not neglect the alt tag in your images. 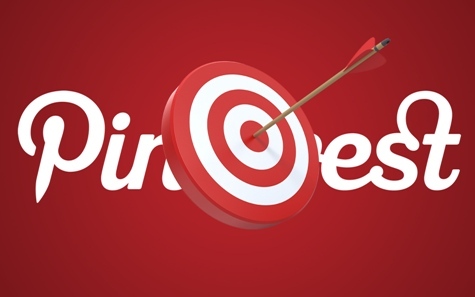 Do not overload from hashtags to pins: This is a general recommendation for all social networks, but it has special meaning seeing that the search results in Pinterest follow an unclear criterion. Use unique hashtags to your product or brand. If you want to encourage its use, include them inside the alt tag of the image. Always complete the alt tag on your images to make sure they have the correct description. Include your keywords in that description to increase the chances of appearing in the search results.